Casting news for It: Chapter Two has been circulating for the past month or so and now, as of Monday, July 2, the official It movie Twitter account has shared the first photo of all of the actors set to portray the grown-up version of The Losers together in some sort of Last Supper-esque panel setting. 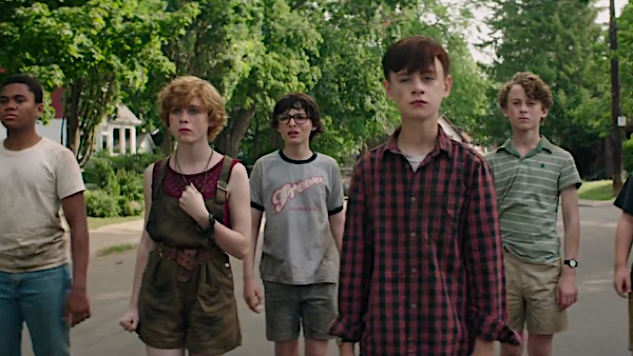 The cast for It Chapter Two runs the gamut, with Jessica Chastain, Bill Hader, James McAvoy, James Ransone, Andy Bean, Bill Ryan and Isaiah Mustafa portraying the adult versions of the kids from It: Chapter One. Bill Skarsgard is set to return as Pennywise the Clown, Teach Grant will portray the grown-up version of bully Henry Bowers, and Xavier Dolan has been cast as Derry resident Adrian Mellon. It: Chapter One followed the first half of the Stephen King novel of epic proportions, while Chapter Two will follow the Losers returning to Derry, Maine, one last time to fight the childhood embodiment of all of their problems, grief and fears—the otherworldly Pennywise the dancing clown. It: Chapter One was a big commercial success, taking in over $700 million worldwide. Said commercial success was directed by Andy Muschietti, who is set to direct the sequel from a script penned by Gary Dauberman. Production on It: Chapter Two has begun in Toronto and the film is set to scare its way into theaters on Sept. 6, 2019, via New Line Cinema. Chapter One is now available on HBO, in case you have yet to see it.